4:3, 5:4, 16:9, and 16:10 aspect ratios only. Works with Borderless Gaming 7.5 and later. Disabled. 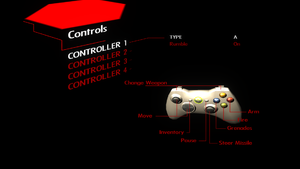 Force in the graphics card control panel or use D3Doverrider. 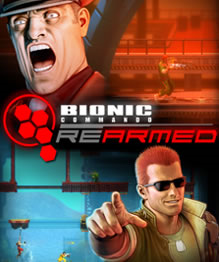 Search for Bionic Commando: Rearmed in the profiles list. Set Antialiasing - Transparency supersampling to 2x/4x/8x Sparse Grid Supersampling (the level must match the previous setting). Set Texture filtering - LOD Bias to either -0.500 (if using 2x MSAA + 2x SGSSAA), -1.000 (if using 4x) or -1.500 (if using 8x). Only morphological filtering(MLAA) can be forced in the graphics card control panel. 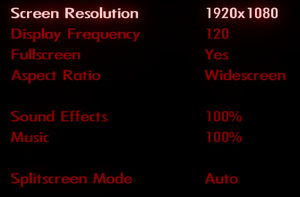 Enable Virtual/Dynamic Super Resolution in the graphics card control panel and render the game at a higher resolution than the monitor's native resolution. Combine Virtual/Dynamic Super Resolution with MLAA or SMAA method for best visual results. Speech is text-based, aside from occasional shouting. 2 player co-op and up to 4 player local multiplayer. Any resolution lower than 4K is working fine. Refresh rate defaults to 60 Hz on startup, even if it's been changed on the previous launch. The game crashes with a PhysX error message, or starts and closes with no error message. Install the Legacy PhysX drivers. 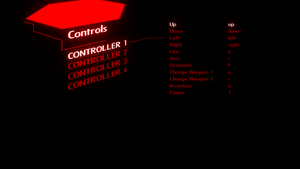 If problems persist, go to the Nvidia PhysX Common folder and copy the files to <path-to-game>. ↑ 2.0 2.1 File/folder structure within this directory reflects the path(s) listed for Windows and/or Steam game data (use Wine regedit to access Windows registry paths). Games with Steam Cloud support may store data in ~/.steam/steam/userdata/<user-id>/21680/ in addition to or instead of this directory. The app ID (21680) may differ in some cases. Treat backslashes as forward slashes. See the glossary page for details. This page was last edited on 21 September 2018, at 06:11.